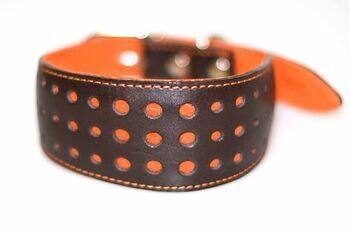 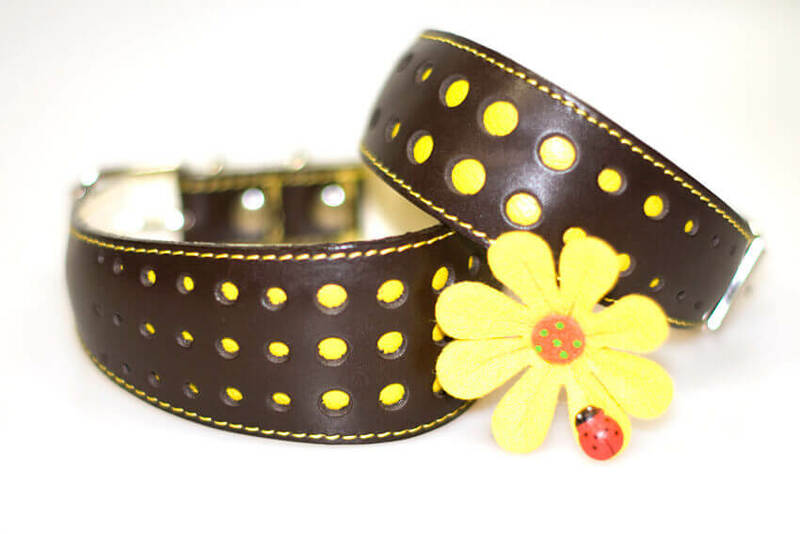 This eye catching, elegant and functional orange on brown hound collar is a perfect everyday collar for stylish hounds. Our original and very popular design combines rows of orange suede dots with brown leather and matching decorative stitching. 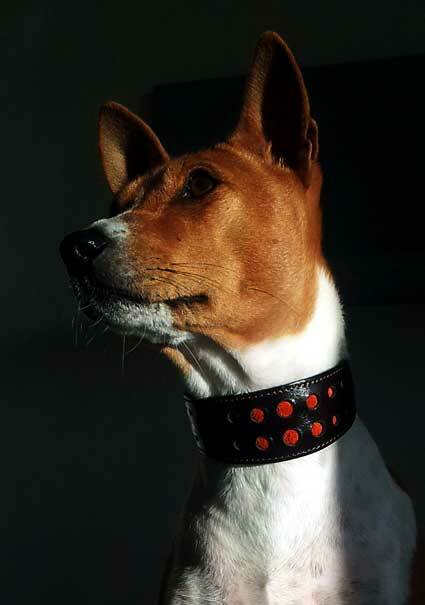 As one would expect from a Dog Moda hound collar our Elegant Orange sighthound collar is fully padded and lined with soft orange nubuck leather for ultimate comfort.